During the financial crisis, GM and Chrysler were bailed out but faced strict re-tooling in order to make both companies financially viable. But what about GMAC, the auto financial giant? Guess we forgot about that one, and now we could be on the hook for $6.3 billion thanks to a lack of an exit plan. AP: The Treasury Department sank billions into auto finance giant GMAC Inc. without an exit strategy or proof the company was viable — a decision that could cost taxpayers $6.3 billion, a new watchdog report says. The government said the $17.2 billion bailout was a necessary step to save troubled automakers General Motors and Chrysler. GMAC provides critical financing to auto dealers, who borrow to finance their fleets until the cars can be sold to consumers. Yet GMAC faced far fewer conditions than the bailed-out automakers, the report says. When the automakers were rescued, they were forced into bankruptcy. Shareholders lost their investments, creditors took a hit and executives were forced to detail plans for making the companies viable. GMAC was treated more like banks that received bailouts without having to explain what they were doing with the money, the report says. The report was released Thursday by the Congressional Oversight Panel overseeing the $700 billion financial bailout that Congress passed in October 2008. “Treasury missed many opportunities to improve accountability and protect taxpayer money,” panel chair Elizabeth Warren said in a conference call with reporters. She said Treasury didn’t make GMAC show how it would return the taxpayer money, or how the investment would increase credit to consumers. “These decisions mean that Treasury is now struggling to deal with a GMAC that is not financially rehabilitated, Treasury has no exit strategy and taxpayers are not fully protected,” Warren said. The Treasury Department responded by reiterating that backing GMAC was necessary to preserve dealer financing for GM. It disputed the report’s core finding, that alternative approaches might have saved taxpayer money and provided better transparency. “Treasury viewed the course taken as the least costly and least disruptive of all the options available,” Treasury spokeswoman Meg Reilly said in a statement. GMAC started as the finance arm of General Motors, providing crucial funding for consumers buying cars and dealers financing wholesale purchases. In recent years, it became a key player in subprime mortgage lending and other risky finance that fuelled the financial crisis. The company began to see major losses in 2007 as the housing market turned south and subprime mortgage investments lost much of their value. 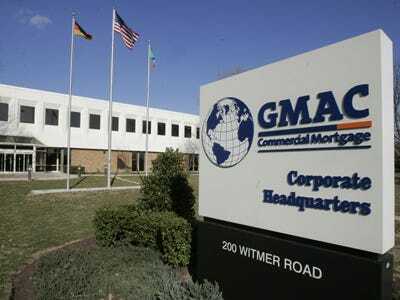 The new report says the bailout effectively saved GMAC’s mortgage arm and other unprofitable businesses. It questions whether the government should have wound down GMAC’s operations that are not related to auto financing, perhaps by orchestrating the same sort of bankruptcy it arranged for GM and Chrysler. The auto finance arm might have been merged back into GM, said Warren, who also is a bankruptcy expert and a professor at Harvard Law School. She said Treasury did not fully consider that course. That left Treasury owning 56.3 per cent of a company that continues to lose money. The estimate that taxpayers could lose $6.3 billion was released earlier by the White House’s Office of Management and Budget, but it was not publicized before Thursday’s report. The Congressional Oversight Panel is one of three mechanisms Congress built into the $700 billion bailout bill. The fund also is subject to audits by the Government Accountability Office and investigation by a special inspector general. Besides Warren, the panel includes New York state banking superintendent Richard Neiman, former Securities and Exchange Commissioner Paul Atkins and attorney J. Mark McWatters. Damon Silvers, a senior official with the labour federation AFL-CIO, is on the panel but recused himself from all consideration of the auto bailouts.